More than 2,200 youth in the Appalachian Trail District (Cherokee & Pickens County) take part in the once-in-a-lifetime adventures and character building programs that can only be found in Scouting. In doing so, they discover skills they never knew they had and develop into the leaders we’ll need in the years to come. 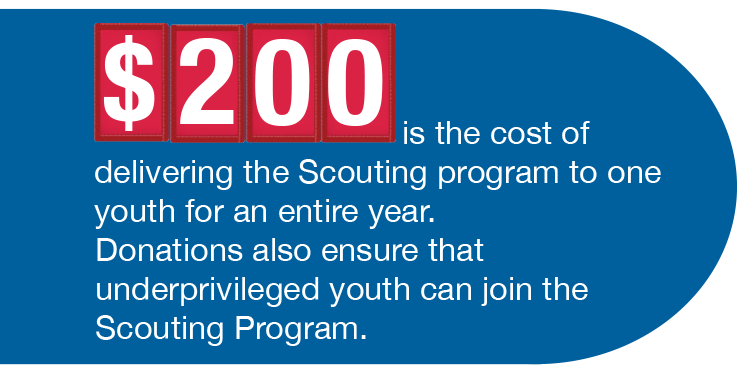 Friends of Scouting is the annual giving campaign of the Atlanta Area Council that helps provide the necessary funds to ensure a quality Scouting program for every youth. Your gift to Friends of Scouting provides trained leaders, program materials, camping facilities, and insurance for safe and fun experiences. This page is maintained by John Chesser, Finance Chair.